It is a fantastic form of expression. It is a little bit like having your own column in a paper or a whole magazine where you can write whatever you feel like. 2. It is very flexible and diverse: you can blog about books, lifestyle, unicorns, photography, cooking – just anything you feel passionate about and this is totally liberating! 4. You get to meet awesome people. 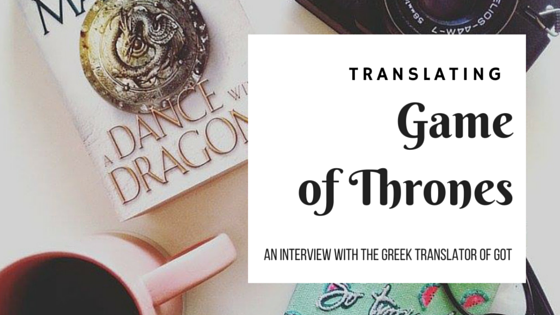 I have been following some Greek book blogs for a while now and I think we have formed a fantastic blogging community with common interests. In that way, blogging takes you outside your comfort zone if you are an introvert, like me… Did you read my interview in Ariel’s fab blog One Little Library, about translation and books? Ariel was featured here as a guest blogger, offering invaluable advice for finding and keeping blogging inspiration 😉 Also, I have met many interesting entrepreneurs and I have found invaluable advice in many of the blogs I follow! 7. It can be profitable. I don’t make money blogging, it is solely a relaxing thing for me at the moment but trust me, I take it as seriously as I would if it made me money (OK maybe then I’d take more care of my SEO #guilty) and I know many who do make (quite a lot) money from blogging. So its a great way to make money doing what you love, isn’t it? 8. It lets out steam. If you have a strict corporate job or a job with zero margins for creativity and inspiration, blogging about things you love is a great way to relax (glass of chilled wine optional) and write about whatever you want. 9. It helps you be more organized. In your writing, in your thinking, it helps with discipline and putting things into perspective; it makes you think harder, prepare and take actual steps towards your goals. 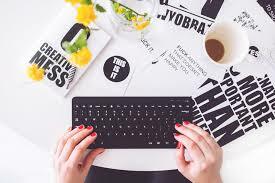 I am not the right person as I have more fun managing a blog than hlogging myself. However it is very satisfying watching your creation reach out and Iove when people interact with the posts. As a reader I always look for original, “real” content from “real” people and not standardised, seo optimised posts. Also creating my wife’s fashion blog and helping her with photos, editing etc is a great activity to share as a couple. Thank you! It’s not that difficult but yes it feels magical sometimes! Weird is good 🙂 I’m weird too, I think! Hi Nate,Everyone can a marathon. Never say &##.r6;neve12&88217; It sounds like there is a New Year’s resolution in there somewhere.Distance sports like running and cycling are great meditative training. I highly recommend them to everyone. In our fast paced lives it is a welcome relief to turn off the outside world and just focus on the physical activity.